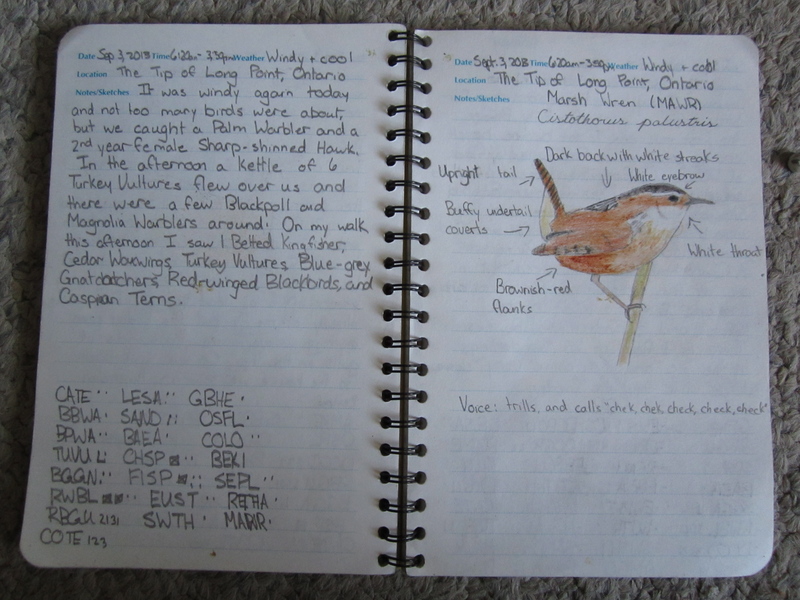 This entry was posted in Birding, Blogging, Canada Birds, Drawing/Painting, Feathers on Friday, Field Sketches, General Birding, Nature, Ontario Birds, Summer and tagged Feathers on Friday, Field Sketches, Marsh Wren. Bookmark the permalink. ← Birding eBooks Giveaway Reminder! Your notebook is impressive. Neat and to the point and the drawing is excellent too.